The removal from Damascus to Aleppo of Iran’s IRGC command HQ brings Prime Minister Binyamin Netanyahu’ to Moscow on Thursday, April 4, for an urgent meeting with President Vladimir Putin – five days before Israel’s general election – to reset their coordination arrangements. DEBKAfile’s military and intelligence sources report that the Iranians completed the transfer of their commands and military facilities, lock, stock and barrel, from Damascus to Aleppo in the second half of March. They hoped that this move would get them out of range of Israel’s serial air and missile raids, calculating that the IAF would be reluctant to risk running into the Russian S-400 and S-300 air defense batteries deployed nearby at the Khmeimim Air Base. They were proved wrong. 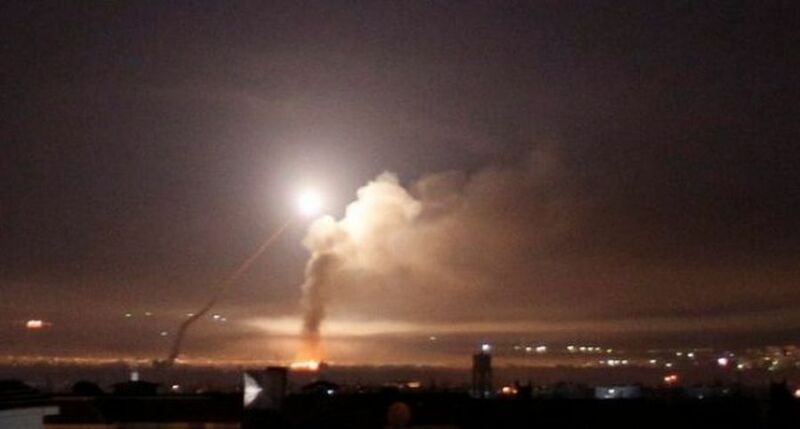 No sooner had the Iranian command staff moved into its new premises, when the Israeli air force on March 27, conducted one of its broadest raids hitherto on Iranian targets in Syria. Casualties of dead and injured were heavy and the devastation extensive. According to our sources, that raid was just the opening shot. Israel has finished with Damascus as the arena for destroying Iran’s military facilities and shifted its campaign to Aleppo. However, the geography makes it incumbent on Israel to draw up fresh rules of coordination with the Russian forces posted in northern Syria. This imperative was behind the official Kremlin account of the phone conversation conducted by Netanyahu and Putin on Monday, April 1 – “pressing bilateral issues including military contacts” – which made a face-to-face meeting between the new leaders essential. The transfer of Iran’s center of operation in Syria to Aleppo and its ramifications, including the effect on the next chapter of the Israeli-Iranian confrontation in that country, is discussed in depth in the coming issue of DEBKA Weekly (for subscribers) out on Friday, April 5. Don’t miss this issue, which again breaks new ground. Click here to sign on. Just another fine day in the Middle East…………………………..on the horizon! repeatedly saying “this is a fact” doesn’t actually make it so. There is a Feng Shui of the military facilities. You must not fall out of Zen with your military facilities! Oh, but you are a Muslim and Zen is not in your book? No problem! Call IDF and check with them for the harmony and the energy forces in that specific location. Iran has won the war in Syria, this is a fact. Israeli air strikes has no tactical or strategic value. Why does Bibi always go to Moscow on bended knee?? Make Putin come to Tel Aviv. 2nd Why in Bibi going to Moscow again because quite clearly he needs the Kremlins “nood”if you will to go after Iran in Apollo what other POSSIBLE reason could their be??????? Putin must leave Leningrad occasionally and come to Jerusalem to meet Bibi; Bibi can take him to the Western Wall and even to take a look at the Israeli Golan, where he can look over the ruins of Syria. Putin or his successor will come to Israel but not in diplomacy. According to Ezekiel and other scriptures, he will bring many “friends”. However Messiah already has and will have much to “say” about that. No worries, they will be “sent” back home, what’s left of them, without their goals achieved. Then Israel will indeed have lasting peace without giving up land and trying to pacify enemies who demand their destruction regardless. People waste way too much time trying to see the future, when the best way to have a future is to faithfully observe the terms of b’rith yhwh. Que sera sera. An earlier Debka article indicated that Putin does plan to accept an invitation to come to Israel when a monument there is unveiled honoring Russian soldiers who defended their country from the Nazis during WWII…………………………stay tuned. Israel have to attack everyday the fk mullahs in iranian soil. The Persians would annihilate the UN’s squatter army. Exposed to radar, their granny-bombers would get cut to pieces and turned to cinder. As I see it, it is the International Game diminishing Iran’s Military and Financial Resources by just eating it up as each Command Site is built, destroyed, and needs built again elsewhere. At the same time, weakens and divert such Resources away from Domestic Use. The Iranian Regime will fall from within and when it does Russia will benefit far better with rebuilding its Oil Structures for Russian use, so be it. It is a Slow Process of removing Shiia Influence in the Iran, Iraq, and the Middle East. If the area is heavily defended with S300 and S400 missile systems I wonder if the IAF used their F35’s in the strikes? Not true. ECM for down satellites is very old news. Mother and China are more than ready to deal with the US military whose entire capabilities are dependant on satellites/GPS. Our joint cyber capabilities will win the next war before a single shot is fired. You lost that when Obama left office and Hillary or Bernie Sanders DIDN’T WIN! You have no idea what Putin has in store for NuttyYahoo. ……………….But he sure likes having him (and his military and security team) as his guest often enough!